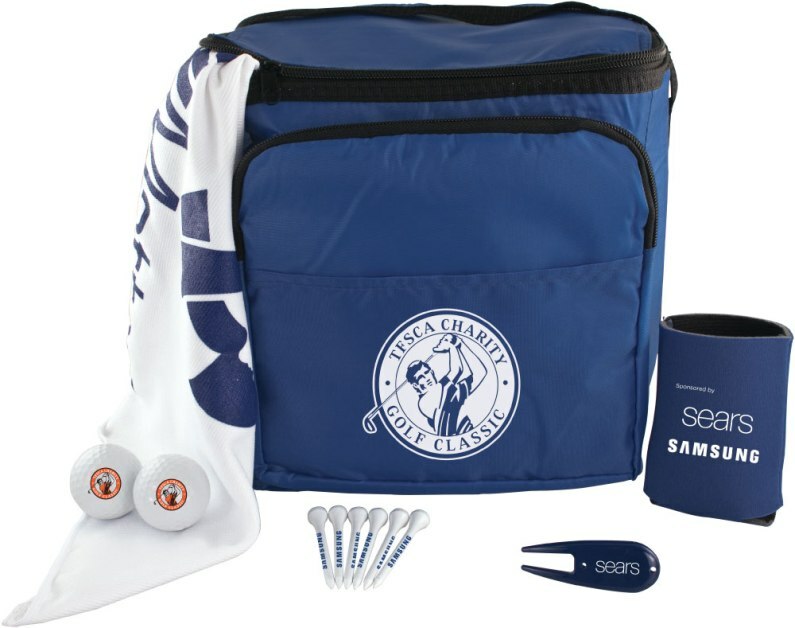 Who would not be thrilled with this 12 Pack Cooler Kit for sponsored golf events, company golf tournaments? Delight in the fact that with this product different sponsors can share the cost or highlight your company. Six 2 3/4 Golf Tees and your choice of Two Total Callaway or Pinnacle Gold Golf Balls. All items are contained in the 12 Pack Cooler Kit poly bagged and bulk packed. Delivery from date of order for this promotional product is 3 weeks. Price includes a one color imprint on all items contained in the golf kit. NO FACTORY SETUP CHARGE FOR A ONE COLOR PRINT.